Charles John Stanley (1712 -- 1786) was an English composer and organist. Blinded at age 2, John Stanley began desultory music lessons when he was 7 and, after a false start, progressed so quickly that he was made organist at a nearby church when he was only 12. Stanley would grow up to become the leading English organist of his day and a major figure in London's musical scene, not only as an instrumentalist but also as a composer in the Handel style. Stanley rose quickly in the English organ world; already a veteran of the loft at age 22, he was made organist to the Honourable Society of the Inner Temple in 1734. His performances of his own organ voluntaries there and at other churches drew large audiences more curious about the music than the liturgy. He had academic credentials, too; in 1729 he had become the youngest person ever to have received a bachelor's of music degree from Oxford. Stanley married well in 1738; not only did his wife bring a substantial dowry, but she brought a sister who would eventually work as Stanley's amanuensis. Stanley would write a fair amount of his own music, but he supported himself mainly as a performer. He conducted several Handel oratorios during the final decade of that composer's life, and succeeded Handel in 1759 as co-director of the Lenten oratorio season at Covent Garden (oratorios replaced operas during Lent). Stanley provided a couple of his own oratorios for this series, but they were too imitative of the dead Handel to achieve much success. Among his other appointments and honors was succeeding William Boyce as Master of the King's Band of Musicians in 1779, which led him to compose more than a dozen birthday and New Year odes for official ceremonies. In his compositional style, Stanley was a transitional figure between Handel and J.C. Bach; the change can be seen by comparing Stanley's Opus 2 concertos, which very much followed the Handel/Corelli model, to his more elegant, less fugal, pre-Classical Opus 10 concertos of some three decades later. His organ voluntaries, on the other hand, all composed fairly early in his career, are clearly creatures of the English Baroque era, hewing to standard formats and requiring instruments of only modest resources. 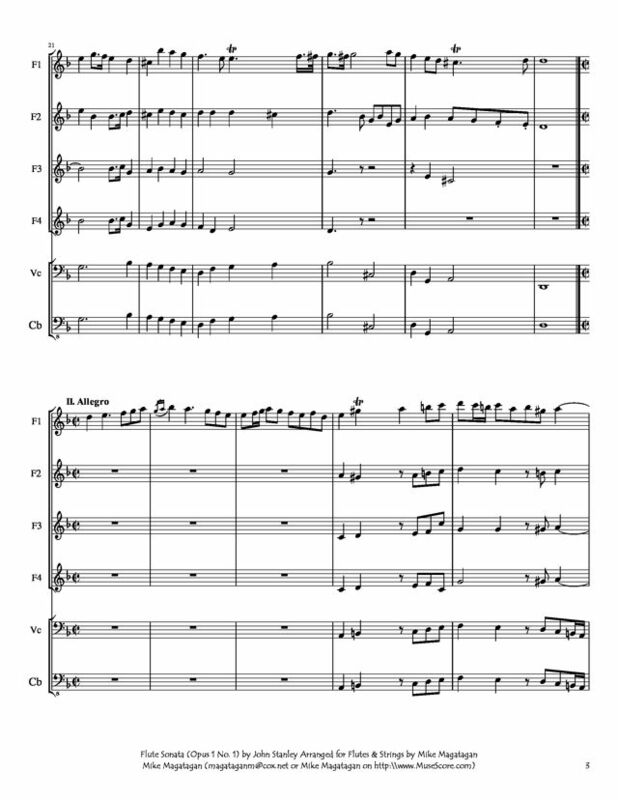 Although this piece was originally written for Flute (Recorder) and continuo, I created this arrangement for for a listener specifically for his ensemble of Flute Quartet (4 Flutes) and Strings (Cello & Contrabass). Mike, thank you so much. We will be now using this version. 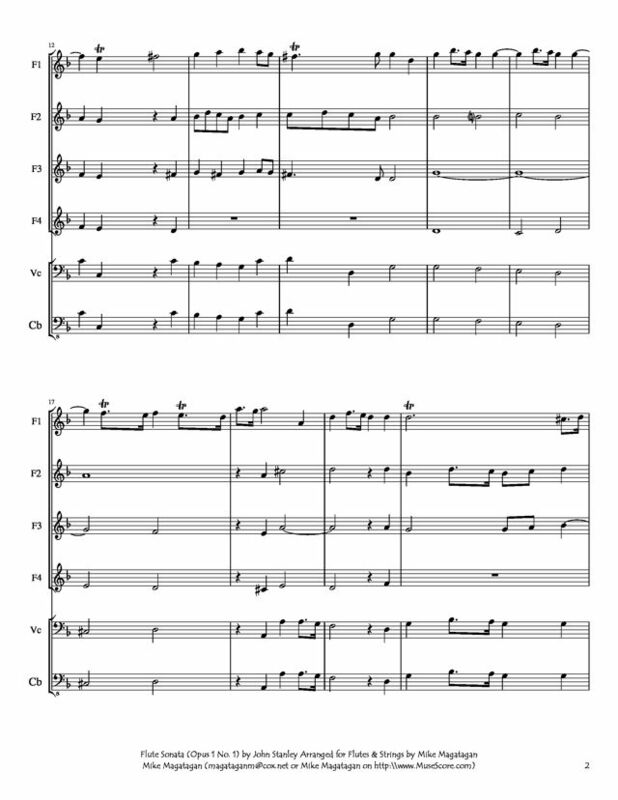 I will let you know when we will perform this. 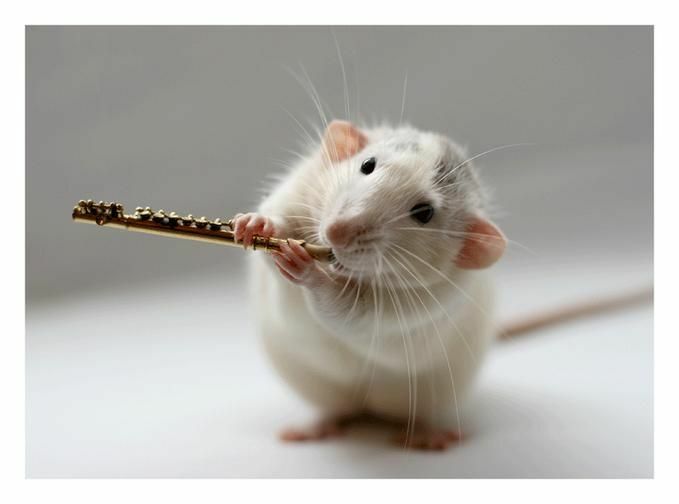 A wide choice of student flutes to buy online. 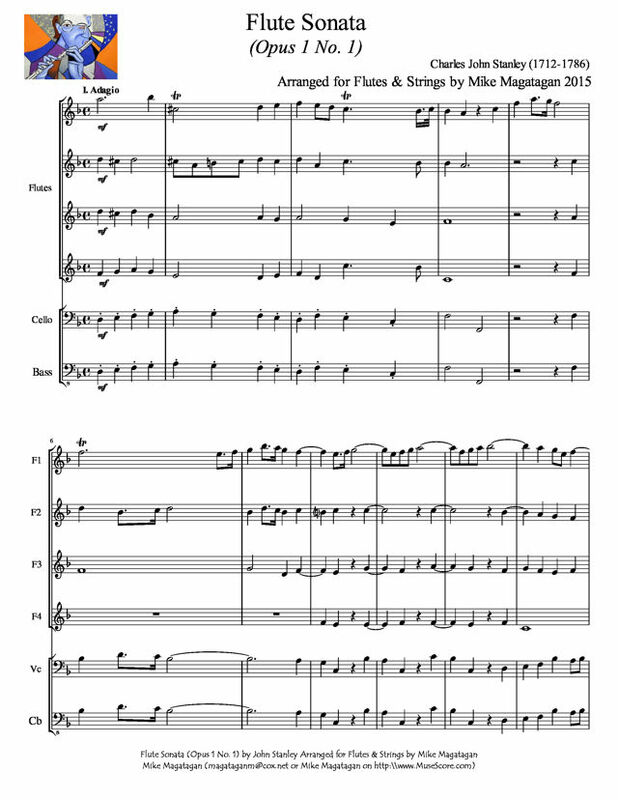 1 scores found for "Flute Sonata for Flutes & Strings"